The pillars for the City are Zewail University, Research Institute, Technology Pyramid or Park, and Think Tank. The Egyptian revolution is achieving its objectives one after the other in the hard way, with paid souls and blood in the long march for justice, freedom and Independence from domestic and foreign tyranny and conspiracy. However, Egyptian economy is not doing well. Egypt has a high level of poverty rates, around 40%, its economy is dependent in few things to earn hard currency: tourism, Swiss canal some Gas and what Egyptian workers outside Egypt send back home. Beside basic human rights and political freedoms the economic case should be dealt with in order to achieve one of the revolution’s objectives: social justice. To that end Egypt must work hard to transform it self into a scientific production and excellence. Producing world class R&D projects that can produce world class startups that can solve problems in different avenues with innovative solutions, products and services. Egypt has no shortage of great people and scientists like Dr. Ahmed Zewail a Nobel prize winner and a professor chemistry and professor of physics at the California Institute of Technology (Caltech) as he has the right vision and plan with his City of Science and Technology. Which was conceptualized back in 1999 but was established right after the blessed Egyptian revolution. The City of Zewail is becoming a reality now. 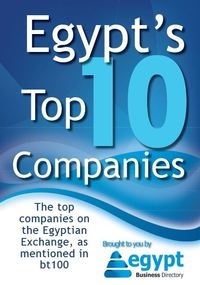 It offers the right pillars that can help transform Egypt into scientific production and excellence, in helping bring innovation and the out break of innovative tech startups that can compete at the world level which in turn will bring hard currency to Egypt and provide employment to thousands of people and raise the standards of living for Egyptians. The pillars for the The City are Zewail university, Research Institute , Technology Pyramid or Park, Think tank. Will offer gifted entrepreneurs and scientist the opportunity to incubate and develop their new technologies and industries. The technology Pyramid or technology Park will provide some financial assistance and appropriate space and will take in exchange a share of the startup equity which would help the city generate income while building world class tech companies that can penetrate the international markets. The Park will also provide R&D center and will invite different multi national tech companies to come up and open research centers. It can do so since it can demonstrate to blue chip companies that it has the skilled work force necessary for such R&D centers to function. Egyptians will benefit from working with multinationals with gaining more experience and expertise which in turn will help them launch their own tech satrtups. The technology Pyramid will work also as a commercialization arm for inventions coming from other pillars of the city namely the Research Institutes. Some fields of research will be particularly relevant to the needs of Egypt and the region. These include R&D in energy, information technology, medicine, and other areas relating to water resources and global climate change. The institutes will be open to anyone accepting students and researchers from anywhere in the world but priority will be given to Egyptians. The university will carefully train selected students in basic state-of-the-art science and engineering and offer them hands-on research opportunities. The total number of students will not exceed 5000 and any increase must be unanimously approved by the Board of Trustees. The university will be equipped with the most advanced tools and laboratories. Students of the university will provide the minimum pool of scientists and researchers to carry on research in the different institutes and in launching state-of-the-art tech ventures that can be incubated at the tech park. Egypt faces a number of challenges and risks, among them is the Nile, power, housing and so forth. The think tank will carry on scientific analysis of major projects of development and for the assessment of national risks associated with them and they will be then presented to policy makers.